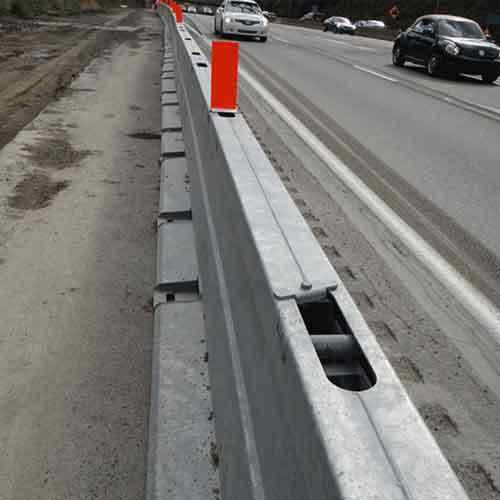 Barriers - RoadSafe Traffic Systems, Inc.
Zoneguard®, a portable steel barrier system, offers the road construction industry a revolutionary temporary barrier solution that provides superior protection. 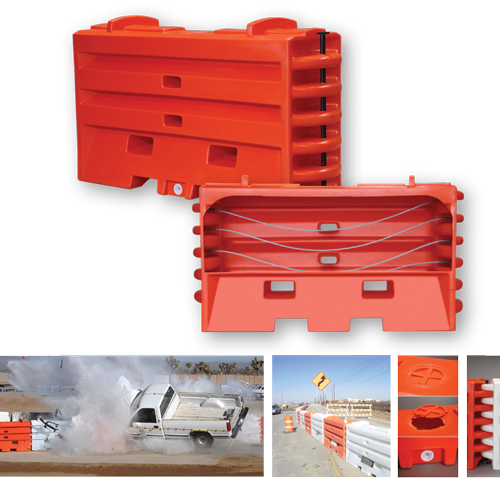 A cost-effective alternative to traditional concrete barrier, Zoneguard’s lightweight configuration allows 750 LF to be hauled on one truck and up to 1000 LF to be installed in one hour. 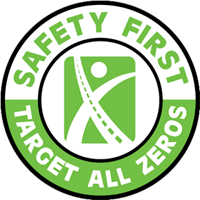 Zoneguard’s light weight does not affect its performance, as it meets both NCHRP 350 (TL-3 & TL-4) and MASH (TL-3) crash test standards. 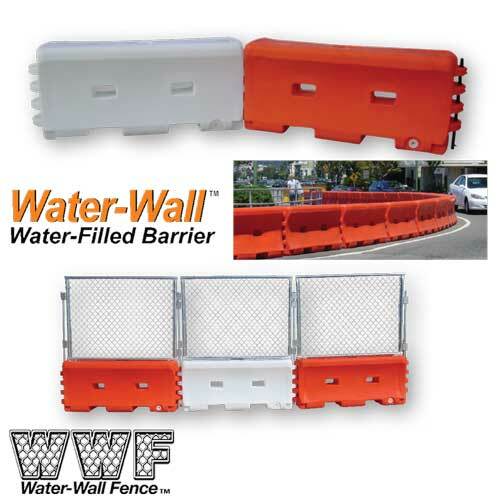 Finally, a safe temporary barrier solution that doesn’t weigh down your bottom line. Width – 2 ft. 4 in. 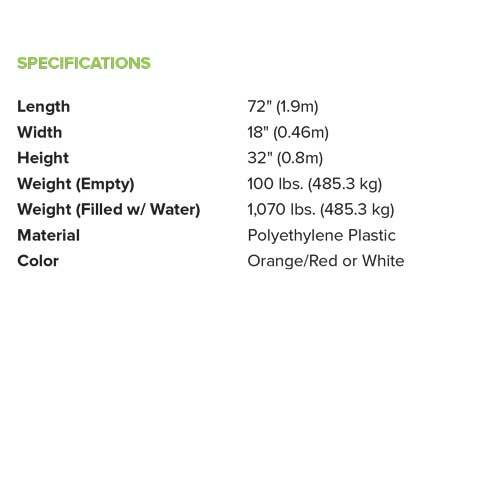 Height – 2 ft. 8 in. The ArmorGuard Steel Barrier Gate is a heavily reinforced gate designed for emergency openings, contraflow applications and work zone access. The steel barrier gate system can be safely opened or closed in under 2 minutes using only manual power. Optional pneumatic jacks can be added to make opening the gate even faster. The System is easy to maneuver on steeper gradients with the use of built-in navigation and braking till. The ArmorGuard Steel Barrier Gate has been performance tested on all road surface types including gravel. The ArmorGuard Steel Barrier Gate is available in 8, 12 or 16 m (26’, 39’ or 52’) sections. Performance tested to open and close in under 2 minutes. 8 m (26’) System Weight – 2507 kg / 5527 lb. The Sentry Water-Cable Barrier Wall has been MASH Tested, Passed and Eligible at TL-2 43.5 mph (70 kph) and TL-3 62.5 mph (100 kph) levels. 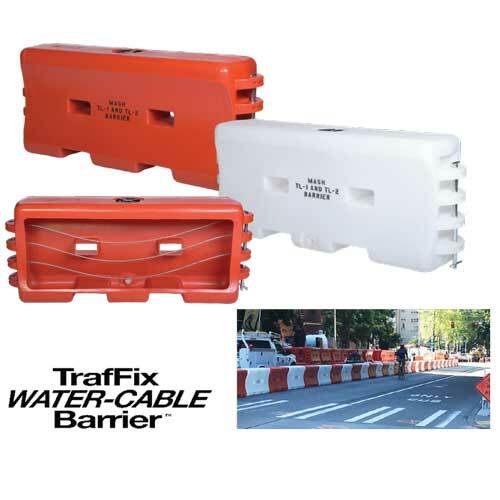 Sentry Water-Cable Barrier weighs 160 lbs. (73 kg) empty and 2,000 lbs. (907 kg) completely full with 220 gal (832 l) of water. Sentry is 72 in. (183 cm) long, 43 in. (109 cm) tall and 22 in. (57 cm) wide. Four integrally molded corrosion-resistant steel cables prevent the impacting vehicle from breaching the Sentry Water-Cable Barrier. Forklift through holes and pallet jack slots make movement and placement of Sentry quick and easy. 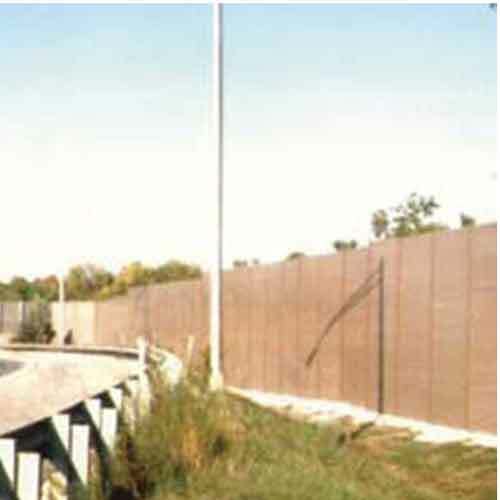 Interlocking knuckle design allows for positive connection between Sentry barriers while still maintaining up to a 15-degree rotation between sections. The AcoustaShield™ sound barrier system provides an effective, durable, and attractive noise-abatement solution along busy transportation corridors. AcoustaShield sound walls are exceptionally lightweight compared to traditional alternatives. Remarkably, the AcoustaShield system can be easily installed by a small crew without the use of heavy-lifting equipment. 12-inch and 6-inch high horizontal panel systems are available and each is easily customized to meet the unique design needs of most any installation. 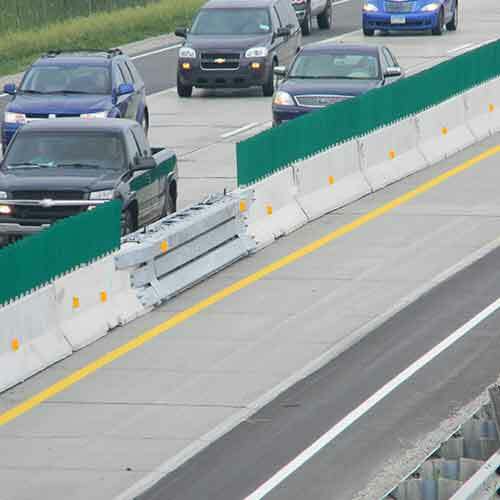 AcoustaShield sound barrier products provide proven performance and have addressed traffic-noise concerns in countless communities across North America with various applications that include use on highways, transit lines, retail, commercial and industrial areas. The sound barrier is also lightweight for bridge applications. The AccoustaShield is winner of the FHWA Environmental Award for Excellence for recycled content. 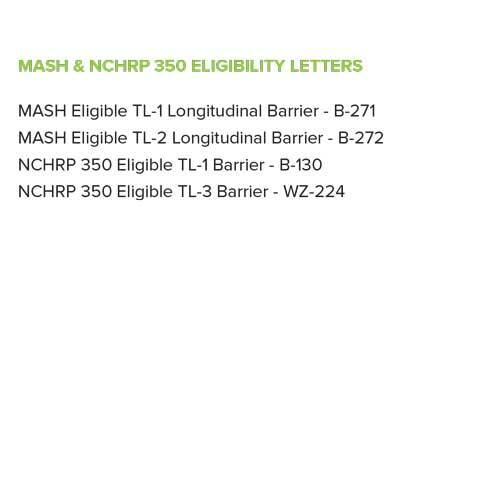 Contact your local branch for more information.